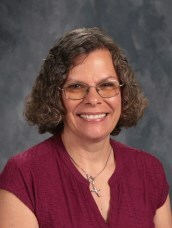 Mrs. Cheryl Rensner currently serves as the K-2 resource teacher at Calvary Lutheran School. Cheryl is a 1983 graduate of Concordia University in River Forest, Illinois with a degree in Elementary Education. 23 of her 32 years in the teaching ministry have been at Calvary. Cheryl has taught at four Lutheran Schools throughout Illinois and Indiana. She has had the opportunity to teach all age levels from Preschool through 8th Grade. She finds great joy in helping students to reach their potential. Her greatest joy is seeing the spiritual development of students. Cheryl and Stephen were married in 1981 and have two daughters, Jen and Michelle (married to Micah). Jen has three daughters, Ella, Lillie, and Morgan. Michelle and Micah have a son, Samuel, and three daughters, Hannah, Rachel, and Sarah. Cheryl loves spending time with their 7 grandchildren (and their parents). She also enjoys gardening, cake decorating, and reading.